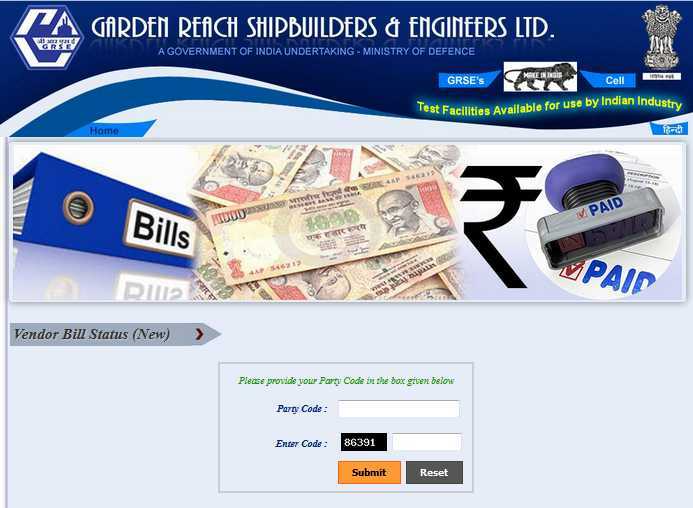 I want to check the Bill payment Status of Vendor of Garden Reach Shipbuilders & Engineers Ltd so can you please tell me the process of it? Garden Reach Shipbuilders & Engineers Limited is one of India's leading shipyards, located in Kolkata, West Bengal. It was established in 1884. It builds and repairs commercial and navals vessels. The company was nationalized by the Government of India in 1960. On this page enter party code and the code shown in the box and then click on submit button.